If you're here, it's because you understand the difference between the traveller and the tourist. You appreciate the journey, not the race. You want the unparalleled room with the most awe inspiring views of Germany waiting for you, not the reception trying to find your name. If you’re here, you know that the locals already know the best places to eat, with the finest German delicacies and you know it’s not the place across from the hotel. If you’re here, it’s because you know what you want and we know exactly how to give it to you. You’re in the right place, welcome to Distinctly Deutschland. Discover Europe’s most fascinating capital, from its historic heart to its vibrant,cutting-edge new face. 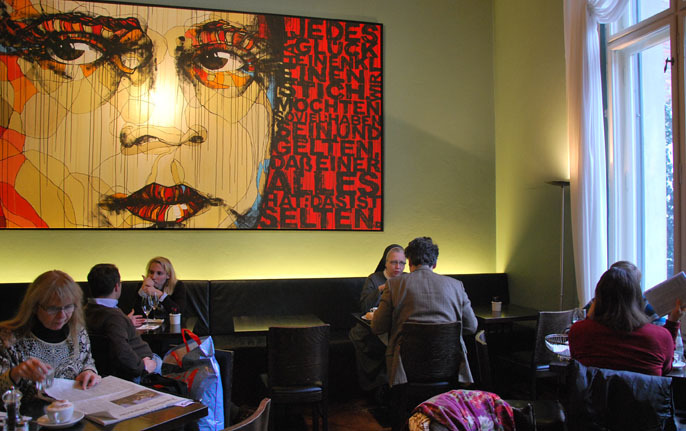 Packed with historic landmarks, Berlin has become Europe’s artistic and creative heart since the fall of the Wall. 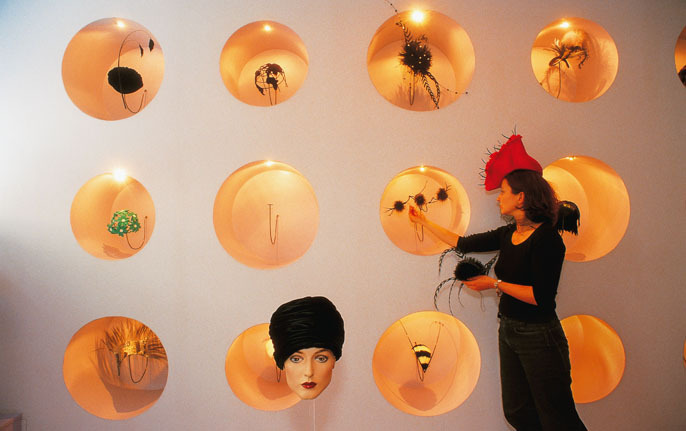 The capital of cool, Berlin leads the way, setting trends in fashion, music and of course: style. Discover Neuschwanstein, one of the world's most magnificent castles. The 19th-century Romanesque Revival castle that towers majestically over the snowy Alpine slopes and will leave you speechless. Unscathed by history, or by the temptations and misjudgements of modern town planning, Rothenburg has remained intact over the centuries. The quintessential medieval town center is a masterpiece! 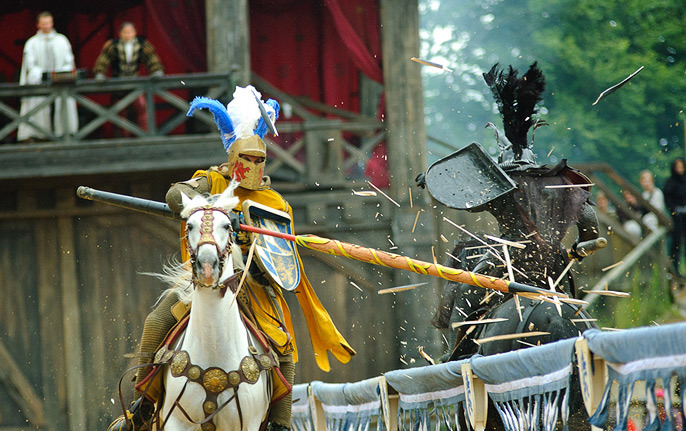 Join us on a journey back in time to the Middle Ages by spending an incredible weekend at the world’s most spectacular medieval festival near Landsberg. CHRISTMAS MARKETS: MAGICAL SHOPPING ADVENTURES! With 2500 of the world’s most enchanting Christmas markets found in Germany, you’ll be spoiled for choice. Our local guides will take you to the very best markets ensuring you have a magical trip. The Mercedes-Benz Museum in Stuttgart is more than just a Mecca for car lovers, it’s a once in a lifetime opportunity to see a collection of aesthetical and architectural masterpieces! With over 60 medieval castles overlooking its winding banks, the River Rhine valley is one of Europe’s most breathtaking landscapes and now a UNESCO world heritage site. 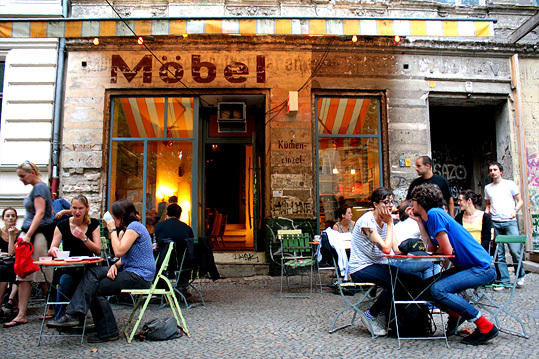 To discover the authentic soul of Berlin, you need to visit its local neighbourhoods, known as the “Kiez”. 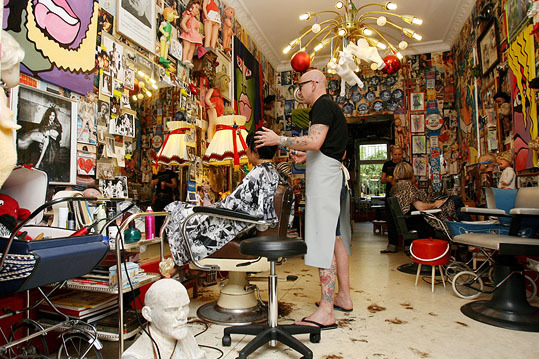 Since the falling of the Berlin Wall districts such as Prenzlauer Berg, Kreuzberg or Friedrichshain have been transformed from once glum residential estates into vibrant neighbourhoods. Welcome to Distinctly Deutschland, Germany's premier boutique luxury travel provider! My name is Alex and as your chief travel tailor, my top priority is to get to know you and learn what your dream 'once in a life time' experience of unforgettable travel, food, and culture in Germany would entail. We take great pride in finding the perfect balance between personalisation, careful planning, price and magical experiences! It's this very unique approach that makes us one of the most competitive offerings in personalised German luxury Travel. 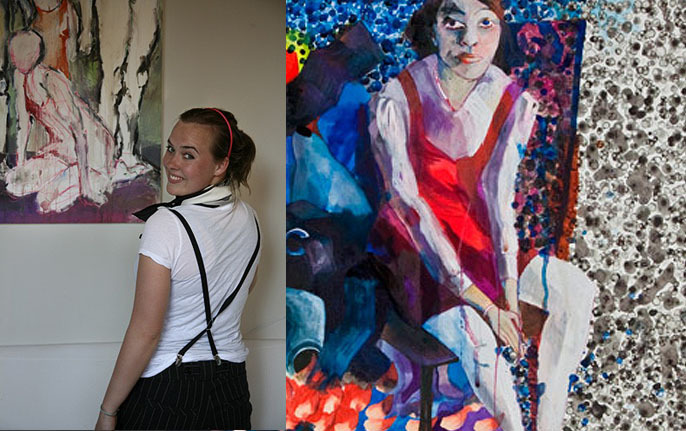 Our distinct guides are multilingual global travellers who love experiences that blend the unique with the distinct. They are all selected based on their passion for authentic German experiences and the pride and pleasure they take in sharing this knowledge. 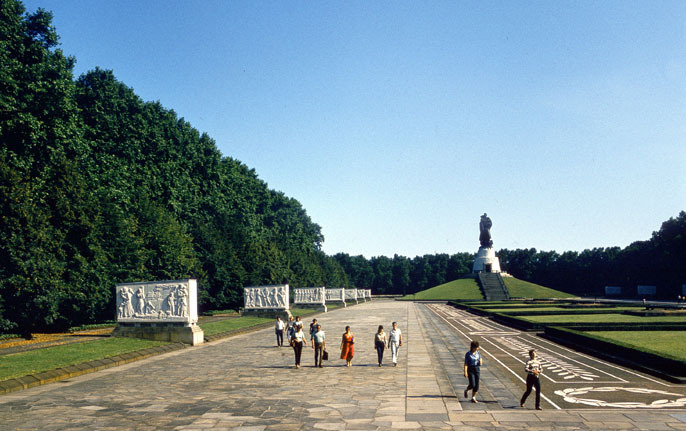 Whether it’s the best pretzel baker in Bavaria or the most scenic morning run through the Berlin Kiez, our guides will know about it and most likely tried it. They also happen to be very nice people. 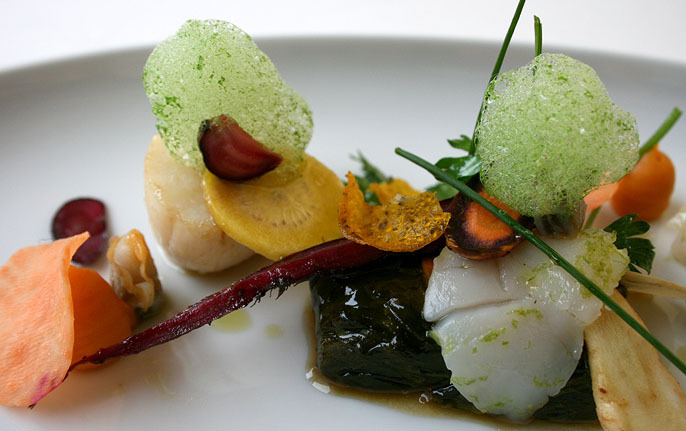 Why not combine your visit with one of Germany’s top cultural, musical or sporting events? 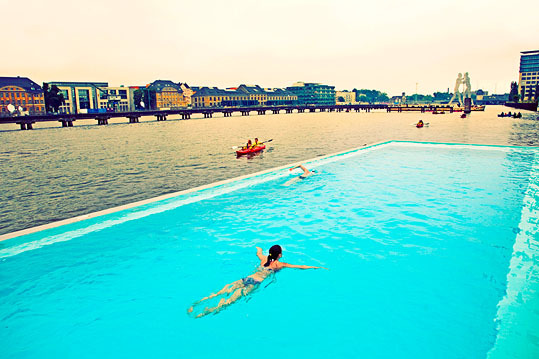 Some, such as Bayreuth’s Richard Wagner Opera Festival or Munich’s Oktoberfest are renowned world-wide and attract visitors from all over the globe. 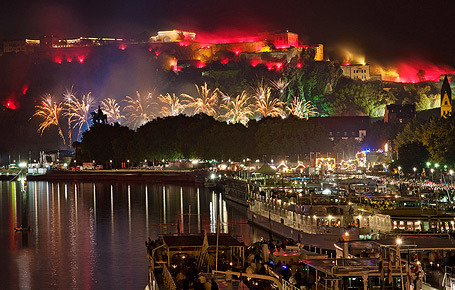 The huge firework display ‘Rhine in Flames’ show will attract millions too. Tickets are usually hard to come by, but don’t worry, Distinctly Deutschland has it covered. And, we’ll even arrange for the best seats in the house! 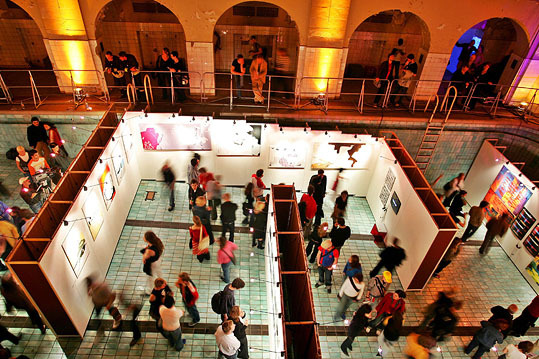 For real aficionados these events are the main attraction of their trip to Germany. Trust Distinctly Deutschland to organize a wonderful holiday before, during and after the actual event. We make sure you have nothing to worry about to fully enjoy the highlight of your visit. 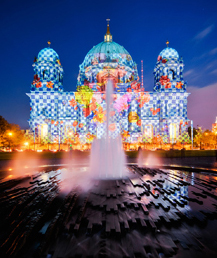 Join us when Berlin’s famous landmarks are spectacularly illuminated during 12 days in October by the world’s most renowned light designers. 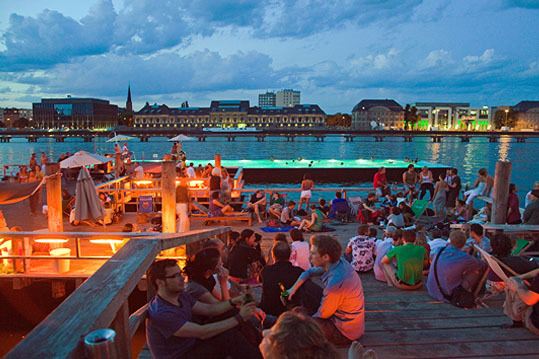 Enjoy the awesome show from the banks of the river Rhine! Marvel at the parade of brightly illuminated vessels, at floodlit castles shining colourful spotlights and at the spectacular fireworks show in the dark summer sky. 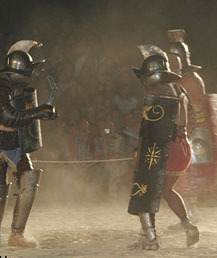 Watch Roman life in ancient Germania come alive in Europe’s largest roman revival festival, in Xanten near Cologne. 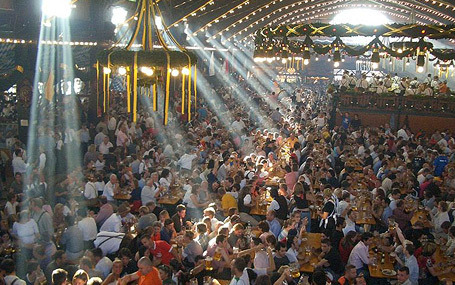 Munich’s Oktoberfest attracts millions from across the world every year. Bavarian locals blend with businessmen and international visitors for the best Bavarian folklore. A tradition that has been running for 225 years, it’s a highlight on the social calendar! 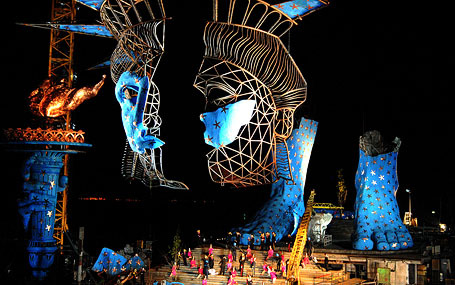 Bregenz on the shore of Lake Constance hosts its world famous annual opera on the lake festival – as seen in James bonds’ “Quantum of Solace”. Immerse yourself in one of Europe’s most spectacular opera performances set on a giant stage floating on the lake. We believe every traveller is unique... and so is every Distinctly Deutschland itinerary! We will design a personalized travel plan, and customize it according to your individual preferences, passions and schedule, depending on whether you are traveling alone, with your partner or with your family. Mother Nature formed this river of rocks during the last Ice Age. 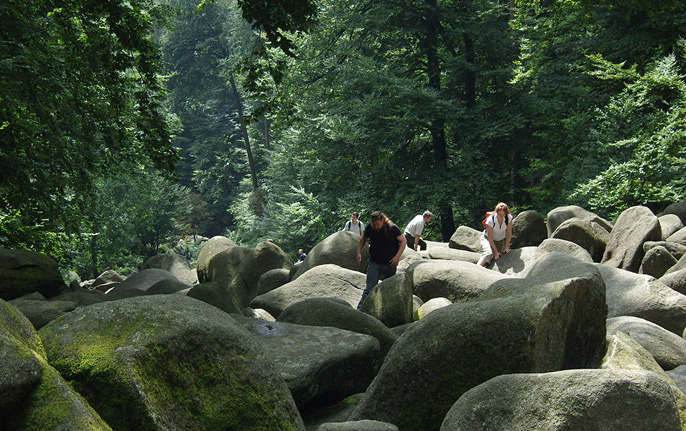 Clambering and scrambling up this one-mile-long slope of giant boulders (some 12 ft high!) is great fun for the entire family. Reach the top and your prize is the splendid view of Frankfurt’s skyline. 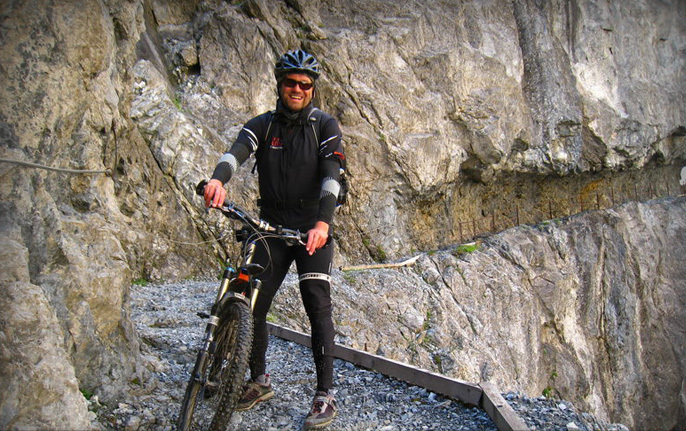 How about criss-crossing the Alps on a mountain bike in under 6 days? 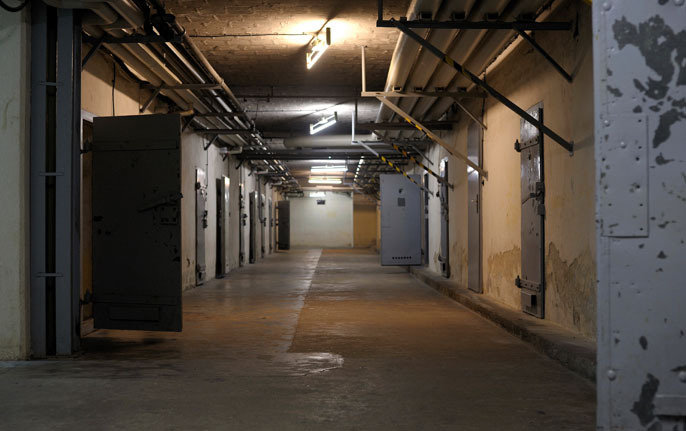 Join Distinct Extreme Guide Andreas Herrmann on one of his thrilling adventures! Remember the majestic Zeppelin Airships that crossed the Atlantic in the early 1930s? Well, they are not just a thing of the past! One can now try the most grandiose way of flying in an original Zeppelin. 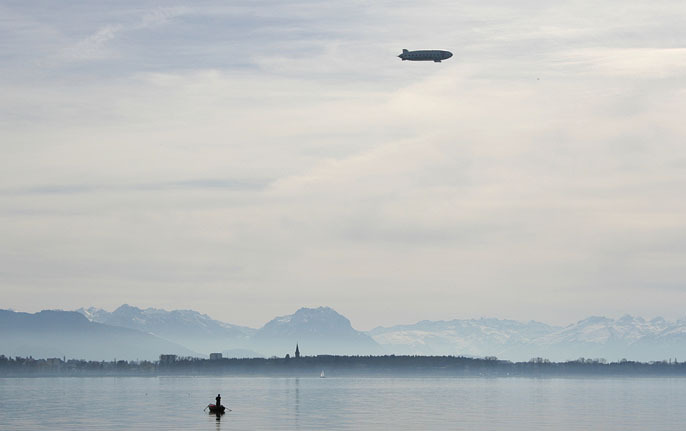 After over 60 years the traditional Zeppelin factory in Friedrichshafen has re-launched a passenger service and offers scenic flights criss-crossing Lake Constance. Take off for a breath-taking voyage inspired by the glorious bygone era and take in the exhilarating views of the Black Forest and the Swiss Alps that stretch out below. Nothing like the Canadian way of rafting! In Bavaria, it’s not about torrents and rapids but about fun. 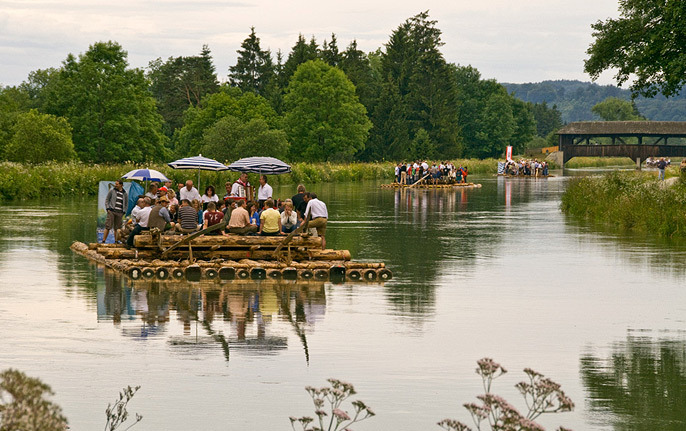 Hop onto a genuine wooden raft on the Isar river and glide down the stream with a Bavarian humpa band soundtrack. All you need to hold tight is your beer mug! Join us in a journey back in time, to the Middle Ages by spending an incredible weekend at the world’s most spectacular medieval festival near Landsberg.